Exterminate All the Brutes is a searching examination of Europe’s dark history in Africa and the origins of genocide. Using Joseph Conrad’s Heart of Darkness as his point of departure, Sven Lindqvist takes us on a haunting tour through the colonial past, interwoven with a modern-day travelogue. Retracing the steps of European explorers, missionaries, politicians, and historians in Africa from the late eighteenth century onward, the author exposes the roots of genocide in Africa via his own journey through the Saharan desert. As Lindqvist shows, fantasies not merely of white superiority but of actual extermination—”cleansing” the earth of the so-called lesser races—deeply informed European colonialism and racist ideology that ultimately culminated in Europe’s own Holocaust. 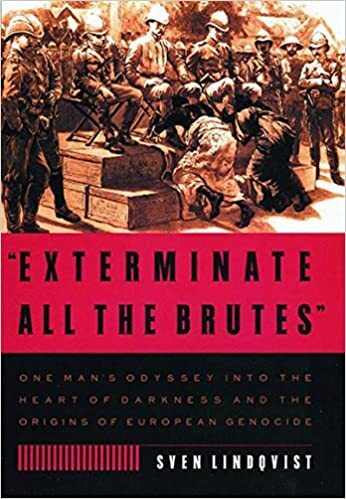 Chosen as one of the Best Books of 1998 by the New Internationalist, which called it “a beautifully written integration of criticism, cultural history, and travel writing, underpinned by a passion for social justice,” “Exterminate All the Brutes” is a powerful reckoning with the past and an indispensable contribution to the literature of colonial Africa and European genocide.